Studio apartments may be cozy and easy on the wallet, but there is no question that they pose a certain organizational challenge. There is a need for division of space and use, while maintaining flexibility and a sense of openness. And, if you’re a renter, you are likely not allowed to make permanent structural changes to your place. Here is a roundup of five brilliant room divider ideas that are functional, attractive, movable and appropriate for many budget levels. Rooms have been divided by curtains or tapestries for eons. Large swaths of fabric hung on simple rods can be dramatic and romantic and are easy to open and close. Best of all, the yards and yards of fabric required for these draperies don’t need to be high-priced. Simple muslin or painter's cloth comes in large sizes and cost a few dollars per yard. Finish the panels with simple hems and hang off rods with clip rings for easy installation and movement. Or create a simple pocket across the top and run the rod through for a gathered treatment. This style is a little harder to open and close so make sure you make deep pocket for ease of movement. Bookcases make excellent room dividers for a more architectural look that also provides great storage. Open bookcases -- those with no backs -- are light and airy in feel, but standard cases will provide a level of privacy and are a great idea for blocking off a bedroom area (paint or decorate the backs so the bookcases are attractive from both sides). It’s very important that these cases be bolted to the wall or otherwise stabilized so that they can’t be pushed over. For a lighter look and greater flexibility than book case dividers, room screens provide a more solid look than curtain dividers, but are repositionable and highly decorative. 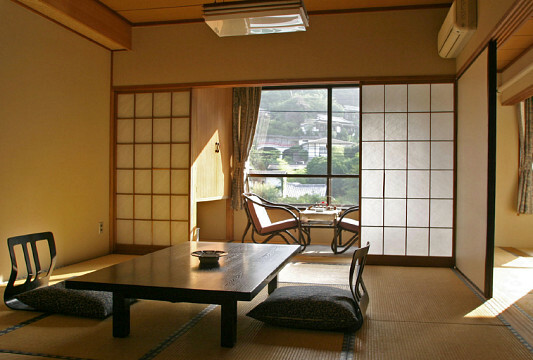 Shoji screens, with their clean yet exotic style, can sit on the floor or be hung from the ceiling. Paneled screens may be painted, mirrored or dressed with photographs, small paintings or fabric. These traditional room dividers are the most personalized and decorative of the category. For a more expensive option, panel track systems usually used on windows can also work as room dividers. These offer a modern, high-tech look that is attractive and functional. Cover up a kitchen wall or the bedroom area. Panels are modern looking yet provide a great deal of privacy without totally blocking the light. Installing the tracks which the panels hang from could require the help of a handyman. Check with your landlord before installing the panels to ensure that you will get your security deposit back. Interior designer Vicente Wolf lives in a loft apartment in the Garment District in New York City. Large open floor plans can be even more of a challenge than small rooms when it comes to dividing up the space. In order to create a sense of privacy for the bedroom area of his home, and to add additional storage, Wolf built a three-sided freestanding wall that backs up to his bed. A very theatrical, yet practical solution. One side of the wall is bedroom, the other side could be for display, covered storage or whatever is needed.